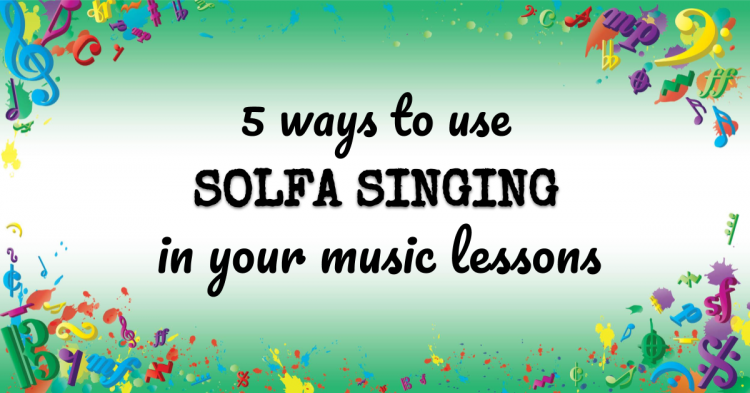 So you’re on board with using solfa in your private music teaching studio…but how? All of the resources seem to be designed for classroom teachers! In this episode, I’ll share 5 simple exercises to get you going with solfa with minimal nervousness or planning on your part. Hey there lovely teachers this week we’re diving further into solfa. So if you didn’t check out last week’s episode and you’re not familiar with solfa Kodaly and all that nonsense then you’re going to want to go back and listen to that so you can catch up on what this solfa thing is all about and how and why I believe it should be used in pretty much all music studios. Now if you’re already familiar with sulfur obviously you don’t need that catch up but if you do need it it’ll be at vibrantmusicteaching.com/26. That’s a numbers two six or if you’re listening to this shortly after it went out then it’ll be easy to find if you just go to vibrant music teaching and click on the podcast in the top menu just to quickly recap on where I stand with this whole Kodaly solfa thing. I use solfa in my studio to teach several things sight singing understanding of key signatures harmonizing and how everything fits together. I find it an extremely useful tool at my studio and I use movable do solfa with a La based minor. Again if you don’t understand what I’m talking about there I did explain that last week so go back and listen to that one. If you’re already a bit confused if you’re not Let’s go. Get going on how you can bring it into your music studio because even teachers with a lot of Kodaly training even former classroom teachers perhaps who have been trained in the Kodaly methodology and have been using solfa for for years don’t necessarily think to use it in their private music teaching studios when they’re teaching instrumental lessons. I think it can be a really useful tool even one on one or with small groups or body students like I often have. So I’m gonna share with you five different ways you can use solfa in your studio if you want fully laid out plans that will completely get you to grips with solfa and give you a structure to follow to catch your students up with using solfa and also make you feel more comfortable with getting going with it then you can find that in the vibrant music teaching site. So if you’re a member you just go to the video library in the menu. If you’re not a member yet you can sign up at VMT.ninja and then you’ll get instant access to that score Scott solfa skyrocket as well as tons of others. But let’s crack on with the five exercises today for using solfa in your private music teaching studio. The first one is to simply get your students to sing along with all of their scales arpeggios and other exercises like that. This very simple act of singing in solfa with scales or with anything else you’re doing means that those exercises do double duty. It’s not going to take anything away from the fact that your students are training their fingers or their muscle memory with those scales or learning about the patterns they make or reading them or whatever they’re doing it’s just going to add an extra layer of learning if they sing along with them. So I say do it as soon as your students are able get them to sing along and solfa and you do it too. That’s a good note to make actually about all of these types of exercises. You need to sing too. If your students are getting nervous about singing. If they’re reticent to sing normally if you just do it and make almost no comment about the fact that they’re almost silent then gradually they will increase in confidence. But if you don’t sing if you seem embarrassed to do it it’s going to be really tough to convince them. So if you’re in a stage where you’re not a super confident singer I’ve been there. I still am there are a lot of the time but if you just fake it till you make it I promise you’ll get there. So you just sing you do your best and you will be in tune. Even if your tone isn’t amazing even if you don’t have the best technique. This is all about just giving it a go. So sing along with your students scales and arpeggios and have them do it too this look at the practice solfa not just going forward which a lot of students can actually do partially thanks to the sound of music but also going backwards so you’ll find a lot of your student in the beginning will drop out once you get to the descending scale. Just keep going like I say you keep singing and they’ll get it in the end. If you just keep doing it with all the scales that’s a lot of time to practice. You know if you’re doing a few scales in each lesson they’ll get a lot of practice with singing this off a scale and also the arpeggios. So that’s the first exercise. Just simply sing along with scales and other exercises. Number two is to harmonize simple tunes. This could be folk songs that they learned by ear such as hot cross buns or any other folk songs like that. Or it could be tunes in their book that don’t have a harmony with them. A lot of beginner piano methods for example will start off with tunes which are just in one hand or are between the hands maybe but they don’t have any harmony. Those are great places they have great scope for adding your own harmony and solfa can really help you to do them because saying okay which note goes with this one or which chord goes with this one depending on your students age and level. It’s a little bit too much choice and it’s hard to grasp on to but just saying which goes with this. Is it do or so. Or if you need fa is it do so or fa you will very rarely with simple folk songs need anything else. So just those couple of options or a few options that you know will work in order to harmonize that tune and then you just get to try it. Each one is that this one is it that one I like to start with just one note like I say do so maybe fa and ignore the chord. Right. So you’re just dealing with the one five or maybe four note in the bass going together with the melody and that’s enough to bridge a real understanding of what harmony is versus melody and fill out those beginning pieces especially in piano method books where they don’t sound particularly impressive but they take a lot better with that little bit of left hand or a little bit of harmony added in I like to do this in my buddy lessons so my students come. Most of my students take what I call buddy lessons which is where their lesson overlaps in the middle. So they have half an hour together with a piano buddy and I do this exercise a lot with them where one is playing just the harmony and one just the melody and they swap around. So we’re creating a duet out of it. And they’re the ones calling the shots on which one sounds better. Of course I overrule occasionally if they’ve gotten it wrong or they can’t decide between themselves but it means we create this simple structure where they can easily remember their duet part and play together and really be listening to each other and they’ll sing along as well. They’ll be singing you know do so so do or whatever the pattern is to help themselves remember. So again they’re getting that practice and reinforcement with the solfa as we go through. So that’s exercise number two. So far we’ve sung along with scales and we’ve done some harmonizing with simple tunes by the way if you’re looking for simple tunes folk songs to teach your students by ear to sing with then my favorite source for these is from NYCOS which is the National Youth Choir of Scotland. So as you may have guessed if you have to ship that across the Atlantic it might be a bit tough but if you’re over my side of the Atlantic definitely check that out and even check it out if you’re in the US. I don’t know what the shipping is like. So it’s obviously coming from Scotland. These are collections. They’re called folk songs 4. Excuse me singing games and rhymes 4. And then there’ll be different types so for the early years for ages nine to ninety nine different ones like that order any of those books honestly they’re all great. And even if you can’t afford to get the different ages it won’t matter that much. They’re a great source of singing games and stuff. It’s super for using in group workshops. If you do those and I’ll pop a link to NYCOS in the show not just if you’re looking for folk songs. Now on to exercise number three that we can use to bring solfa into our studio is to do singing first to sight reading. So anytime your student has a new piece or a piece of sight reading you can decide which of those is better to go within your studio with your particular student. You get them to sing it first in solfa. Work out what it would be in solfa sing it as a rough idea of how it would sound it doesn’t have to be accurate and then they play it and then maybe sing it again or sing along. Playing it a second time they will learn so much from doing this about reading about notes about singing and about ear training. It’s such a fantastic exercise to do. I know several teachers who do this with all their sight reading current. So they’re using their site routes you know safari method. They come with these sight reading cards with these simple melodies on them. And a lot of teachers will do those as singing first and I’ll do them as singing yourself first as my students get used to solfa and can can manage that. And it really is just such a rich activity that can take literally one minute out of your lesson. So that’s number three. On to number four singing warm ups with posters. Now again I’ll leave a link to this in the show notes because I have posters that you can download to use with this. So this is I have these hand signed posters of solfa that I have stuck on the back of the door in my studio and I use them in so many ways to do with sulfur but one of the biggest things I do is simply pointing to them as a way to direct students of what to sing so I’ll just point to them with it. In fact it’s a drumstick. You could have an actual pointer if you have one a drumstick just seems to be handy as to my studio and I point to each one and we sing them and then I might get a student to point to them as I say I have a lot of time with students like two or three students together where the lessons are overlapping so I’ll get one student to be the pointer and the others are following what they are pointing to and singing along and we all sing. Even the conductor has to ask to sing as well and I specified to them which notes they can use and whether we can do steps or skips that they’re learning about those patterns understanding their own learning process as well because they ask me Well why can’t we do that. For example I banned the skip from so to re for quite a while and you know it’s pretty simple to just explain. Take it to the piano and sing along with the piano and go. Isn’t that pretty hard to find. Yeah. OK so we will delay that till later. Let’s do the ones that are easy in the beginning and that’s kind of part of the good I method philosophy as well is that kids should be doing things that are easy that are accessible to them right. So I’ll have them sing along with me pointed to the posters again that can be one minute of singing doesn’t have to be this huge commitment. 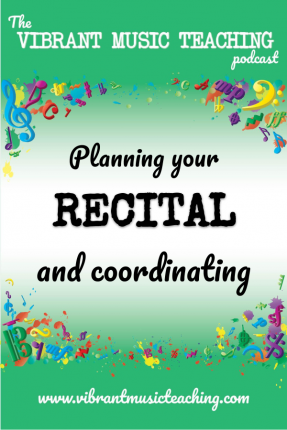 You don’t have to revolutionize your entire studio and switch to some Kodaly structure or method for everything you do. You can just take little excerpts little pieces of that method or of solfa and apply them to your teaching and see what the results are. Do some of my experiments you know. Okay our last exercise I want to share with you today the fifth one is oral I.D.. Now what I mean by this is that all play do re me for example on the piano in any key and I’ll sing along with it as I play and then play the last one and ask them what note it is. I have students answer me in different ways they can sing the note back to me and they can say the solfa name or they can be doing actions to answer me. So I have them sit down on the floor for do kneel for re stand up for mi will be introduced so I have them do that with their hands in the air or one hand in the air and then two for last the flight that we build up to the pentatonic scale that way and then build up to the major scale. From there I’ll be specifying which one of those they are doing but I’ll mix it up all have basically the same result but they just provide a bit of variety for my students and keep things fun and interesting for them. Another way I’ve done it actually is to have them answer me on the piano so where I’m playing I tell them where we are that we’re on the three black keys or on C G E or something like that and have them play the note that I’m playing back to me. So that’s five ways you can use solfa in your studio. Let me take you through them quickly again so you remember them you can sing along with scales and arpeggios you can harmonize simple tunes using just say do and so and figuring out by ear you can sing all sight reading or all new pieces before you play them. You can have your students sing warmups by pointing to posters which you can grab on the colourful keys site linked to in the show notes for today and you can do oral I.D. exercises where you’re asking them to tell you or show you which self a note you played last from a short list of possibilities. So that’s five simple exercises. What I really want you to do is try one of them. Pick one of those with one sounds the best to you right now which sounds the easiest and the least nerve wrecking to get going with it. You’re a little bit nervous of this. Pick one of them just one. Don’t try to do them all. Pick out one idea from that list of five or an idea that was sparked by that list of five and put it into action resolve to try it in your next lesson or in this week’s lessons or you’re not teaching right now. If you’re on a break then your next lesson back. Write it down for yourself. Commit to it give it a go. You might just have fun. I’d be willing to bet that you will. Next week on the podcast we’re going to dive into different rhythm systems so we’ve been talking about Kodaly and solfa. Another big part of Kodaly is that the rhythms syllables and there are many other rhythm syllable systems so I’m gonna take you through the different systems. If you’re a member of vibrant music teaching already you can catch the full solfa skyrocket course in the video library. Just click on the video library tab in the menu up the top and you’ll see the solfaskyrocket at the top of the library. And if you’re not a member you can sign up and you absolutely should at a VMT.ninja get access to that course as well as tons of others and everything else going forward. The above audio transcript of “VMT027 5 Ways to use solfa singing in your music lessons.mp3” was transcribed by the best audio transcription service called Sonix. If you have to convert audio to text in 2019, then you should try Sonix. Transcribing audio files is painful. Sonix makes it fast, easy, and affordable. I love using Sonix to transcribe my audio files.